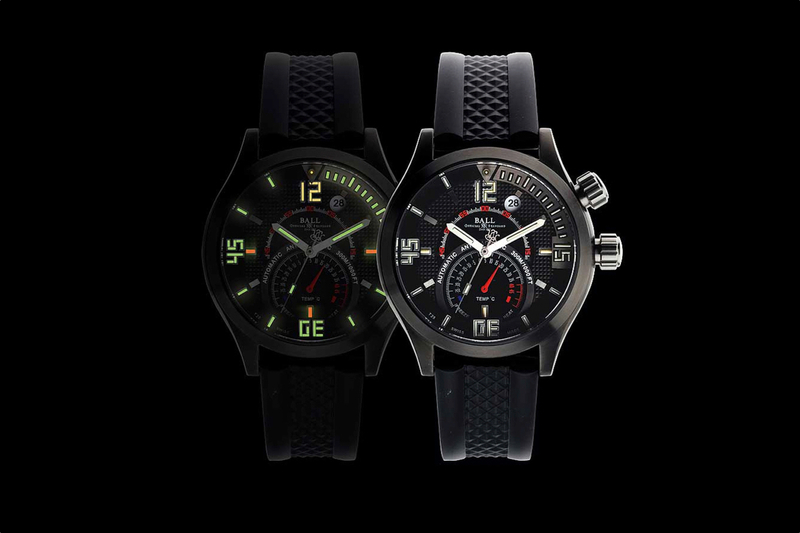 The new Engineer Master II Diver TMT uses a Ball Caliber 9018 automatic movement and is guaranteed to function at temperatures of -40 to 140°F (-40 to 60°C) without any affect on accuracy. The stainless steel case is 42 mm in diameter and is coated with DLC (Diamond Like Carbon). This coating makes the case very scratch and corrosion resistant, as well as giving it a beautiful gunmetal grey color. The TMT has a very cool mechanical thermometer that displays temperatures of -35°C to 45°C. The movement is anti-magnetic 4,800 A/m and shock resistant to 5,000 G’s. The case is water resistant to 300m and comes with a unidirectional inner bezel for diving. There are 53 micro gas tubes on the hour, minute and second hands, and the dial, for excellent nighttime visibility. The crystal is anti-reflective with a solid screw-down caseback. The strap is black rubber with a buckle. 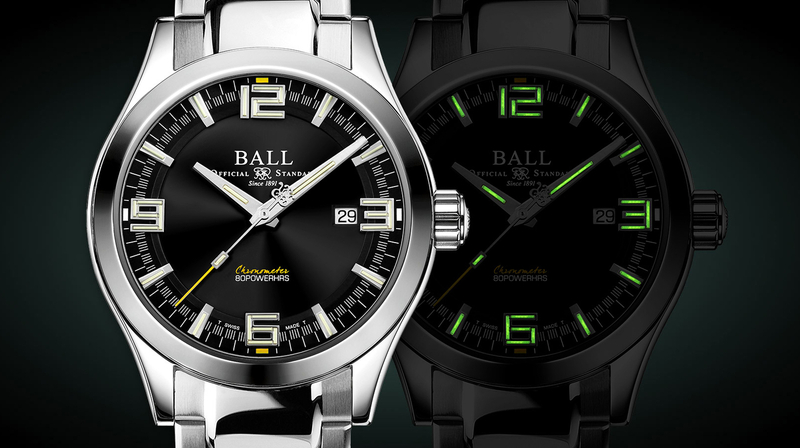 The watch is dedicated to Ball brand ambassador Guillaume Nery, so the caseback is engraved with his name. The watch also comes with a handmade miniature (1:8 scale) replica of the monofin Guillaume uses while diving. The retail price is $3,499.